What must it be like, living with scoliosis, especially having to grow up with it at a time when appearance is important in high school? Scoliosis often leads to patients being even more self-conscious that a typical high school student. A second problem is the pain that is often associated with the condition which can cause problems in concentration, affecting academic ability. 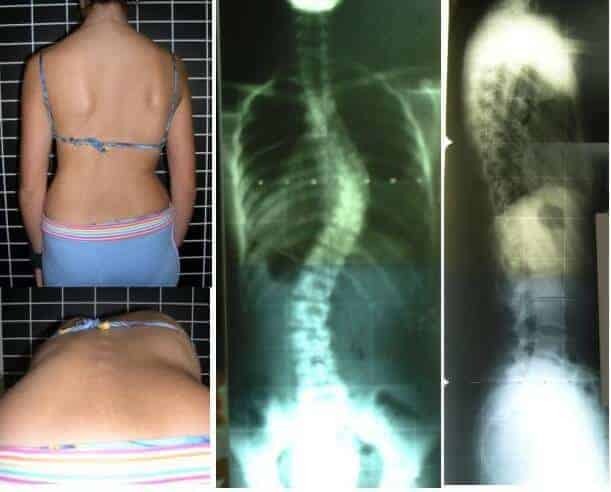 Scoliosis affects 2-3% of the population, so in the United States that would translate to between 6 to 9 million people, and in the UK, to 1.32 to 2 million. Scoliosis develops in infancy or early childhood but most cases onset at 10-15 years old, occurring equally among boys and girls. Girls are 8 times more likely to progress to a curve magnitude requiring treatment intervention. Some children are fitted with a brace, while others often require surgery. Depending on the degree of the curve, it may look as if the child is slouching or simply has bad posture, rather than an actual disability. It is important to determine the cause of the ‘bad’ posture by visiting a GP and getting a referral to an orthopaedic consultant, after the GP’s initial diagnosis, for further tests. 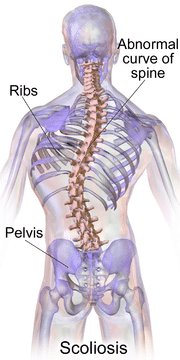 Living with scoliosis is often a painful condition, mentally and physically, in children and in adults. Yoga and spinal decompression can often significantly afford pain relief and arrest or slow the curve progression. 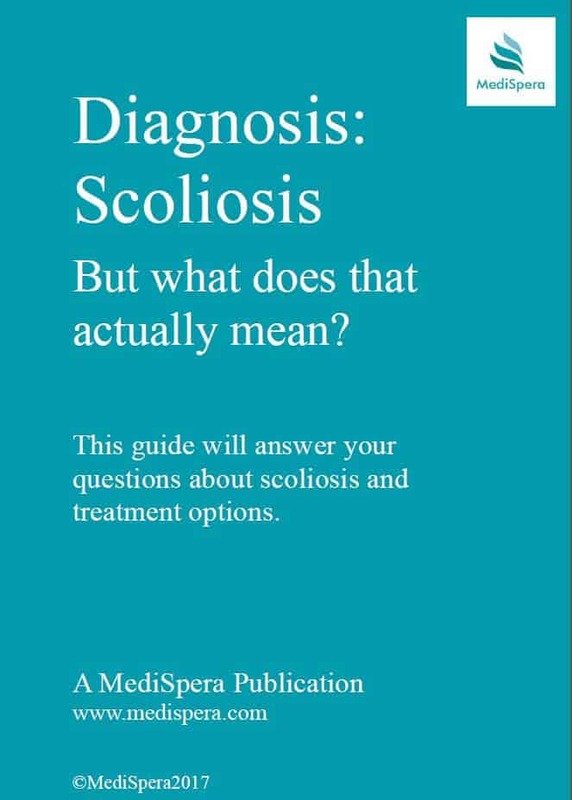 See more information on a number of treatments in our Guide ‘Diagnosis: Scoliosis. But what does that actually mean?‘. For information on the Dynamic Brace System for Scoliosis using the Vertetrac & DBS Rail, click here and scroll to the end of this article for more information. What is the emotional cost, not to mention the physical pain due to living with scoliosis, as many patients have scoliosis-associated backache? Living with pain affects quality of life and ability to take part in sports, social events and school activities. Not taking part in sports creates a peer-to-peer issue too as friendships are often forged in the playing field. We are all judged by our peers, on athletic prowess, looks and popularity, ‘cool’ factor, and whether or not we are ‘in’ with the right crowd, etc. Cheerleaders and baseball / basketball jocks typically lead the pack. But what if you can’t join in these activities? Where does that leave you? Having a disability often leads to being stigmatized by callous peers and the general public. Having to constantly explain the condition is mentally exhausting. The merits of being open about it and ‘letting people in’ will bring its own rewards. It is therefore worth doing in your social circle and networks. Why? Because once discussed and out in the open, it won’t be something whispered about and will soon be forgotten. Another topic will quickly become more important, because the curiosity will be requited. Being open may even create empathy (not to be confused with pity – who needs that?!) and creativeness, looking at how to be included rather than the opposite. Scoliosis, or any disorder or disability for that matter, doesn’t have to define you unless you let it. Attitude is key and life-changing for better or worse. Living with scoliosis doesn’t have to be a stigma. It could be celebrated! What do I mean by that? Have you seen the Britain’s Got Talent ‘Just Us’ dance troupe starring Julia? She is a prime example of not letting her disability define who she is, and her openess about her condition is awe inspiring! Lastly, there are ways to improve your condition, such as the braces and surgery – but before you opt for either of these, do check out Meditrac’s Vertetrac & Dynamic Brace Scoliosis System: in prepubescents it may correct the curve without surgery, or arrest the progression of the curve until surgery, and without having to wear the system for more than 30 mins 1-3/day , depending on the degree of curvature and frailty of the patient. For the treatment regimen, click here. 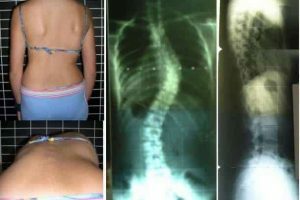 If you are an adult, the DBS Scoliosis Rail System Attachment to the Vertetrac will help to reduce the associated pain.